While others try to imitate it, we innovate it. Endura C2 is the legendary performer that's built to explore, built to last and backed up with our two-year warranty. It's the ultimate coming together of form and function, in a package that puts you on the water day after day, year after year like no other. 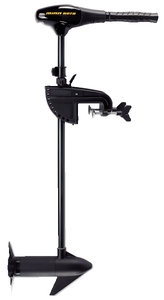 Minn Kota Endura C2 30 Freshwater Transom Mount Motor 30" Shaft | Minn Kota Endura C2 40 Freshwater Transom Mount Motor | Minn Kota Endura C2 45 Freshwater Transom Mount Motor | Minn Kota Endura C2 50 Freshwater Transom Mount Motor | Minn Kota Endura C2 55 Freshwater Transom Mount Motor | Minn Kota Endura C2 55 12 Volt 55LB 42" | Minn Kota Endura C2 50 12 Volt 50LB 42"